Halloween might still be a couple of months plus away, but this does not mean you are unable to make the necessary early preparations, right? What would happen if you decided to dress up like an animal? 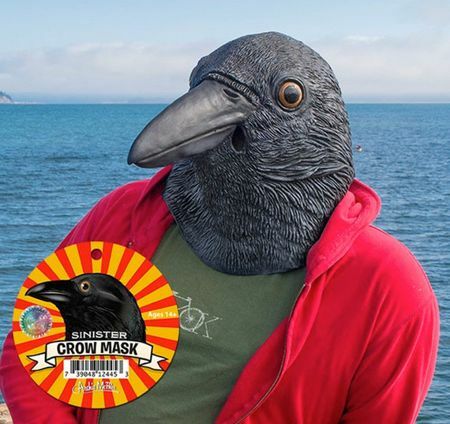 Being the wild child that you are, not any other animal would do, as you would certainly want to be in the middle of all the attention that is going on, which is why the $38.99 Crow Mask does make plenty of sense. Being the ideal Halloween mask if you decide to hang out on that night by the cornfield, it is also perfect if you happen to be invited to any Edgar Allen Poe themed parties. All you need to go along with this mask would be a black suit, top hat and cane, and you’re good to go.